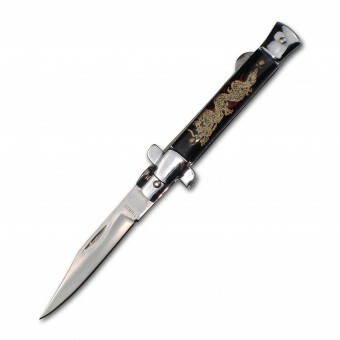 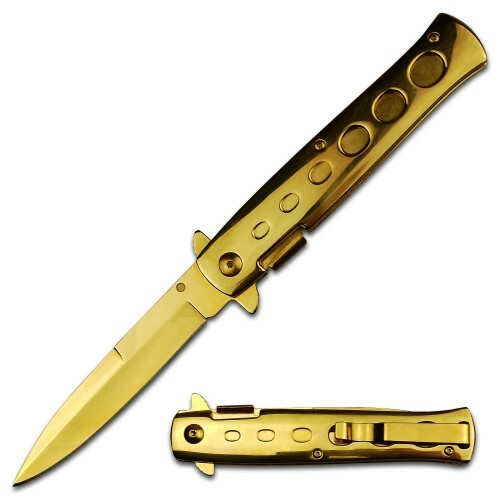 Features stainless steel gold coated 2.5mm thickness blade & handle. 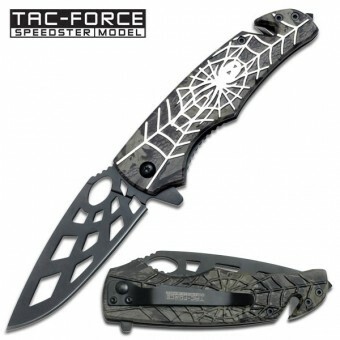 Complete with pocket clip. 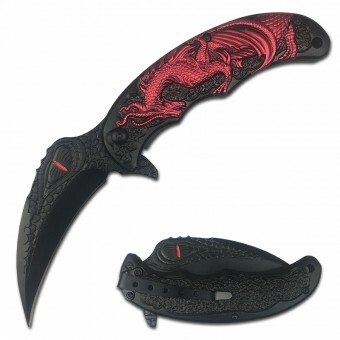 Knife measures 12.5cm closed. 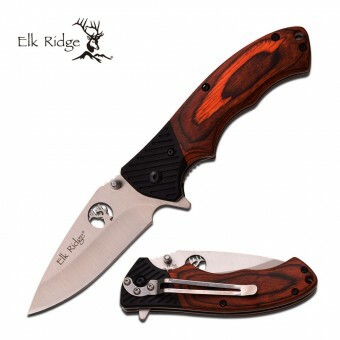 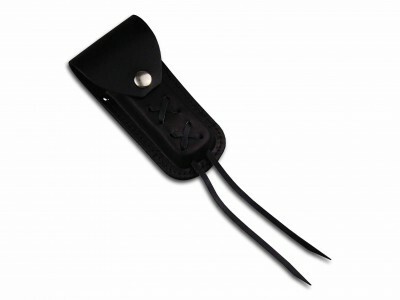 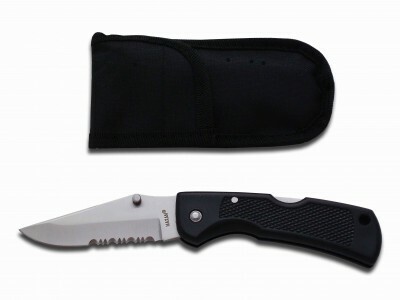 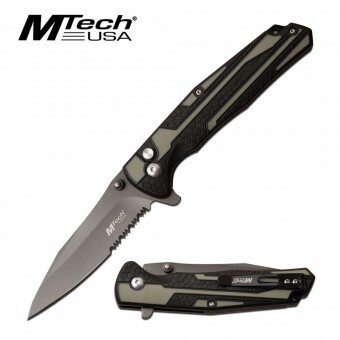 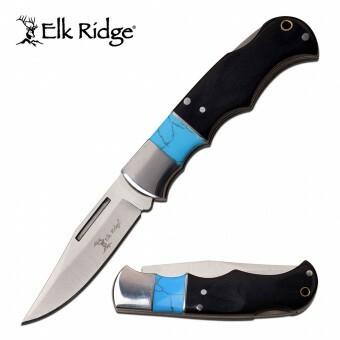 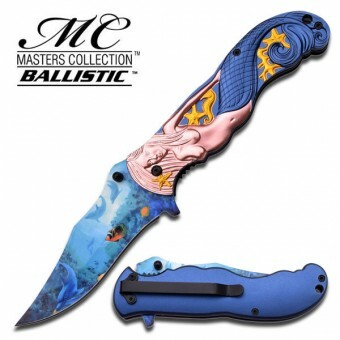 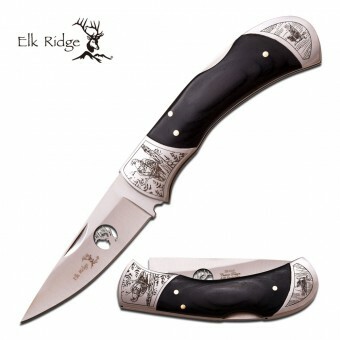 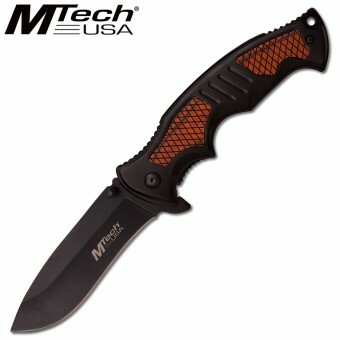 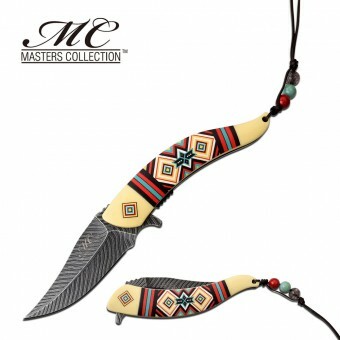 SKU: FK-1209GD Categories: Decorative, Folding Knives, Tactical/Utility.